Welcome to Thomas Beltrán Guitars. Thomas Beltrán has been building acoustic guitars since 1976. His focus, for the past thirty-five years has been on building classical guitars. 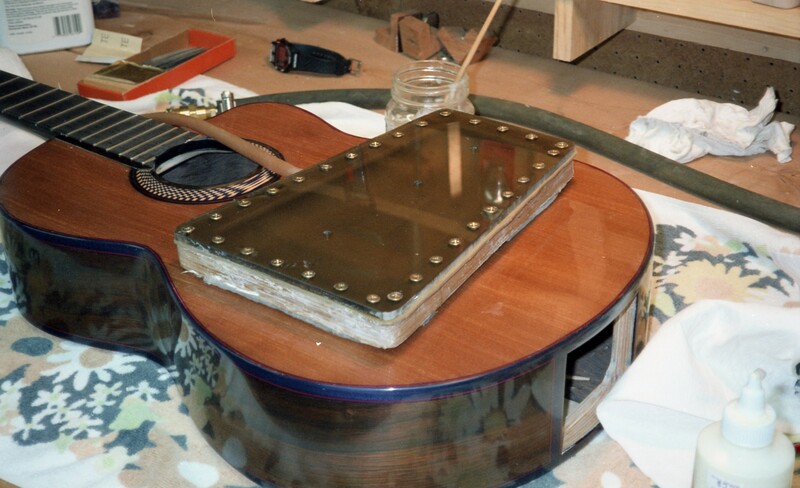 Mr. Beltrán builds three styles of guitar. Classical guitars in the Ramirez tradition, as produced in the mid-1960s, including current work on a ten-string guitar, also built in the Ramirez tradition. He also builds guitars modeled on a 1943 Hauser Sr. guitar, owned by Dorothy de Goede, which he was able to study, measure and play. And finally, he builds guitars in the Kasha style, having studied with Richard Schneider in Michigan. In the mid-1990s, Mr. Beltrán studied with Buzz Feiten, learning Mr. Feiten’s tuning system. He currently employs his variation of that system in his guitars. You are invited to contact him for information about commissioning your own Beltrán classical guitar. The photograph at right is a Kasha model cut-away classical guitar, named “Angelita.” The rosette is modeled on one of Maestro Schneider’s rosettes. These guitars are called “Kasha” models because the basic design originated with Dr. Michael Kasha, a molecular biophysicist from the University of Florida, at Tallahassee, who collaborated with Maestro Schneider in the development of the guitar. It has a redwood top and Brazilian rosewood back and sides.